Total team coordination. Best-value solutions. Rapid delivery. Build better, faster and smarter with Design-Build, the project delivery method in which one entity delivers design and construction. In this approach, owners collaborate with a skilled Design-Build team from project inception to completion, paving the way for creative, best-value solutions. The results? Higher quality, reduced risk, minimized costs and streamlined schedules. 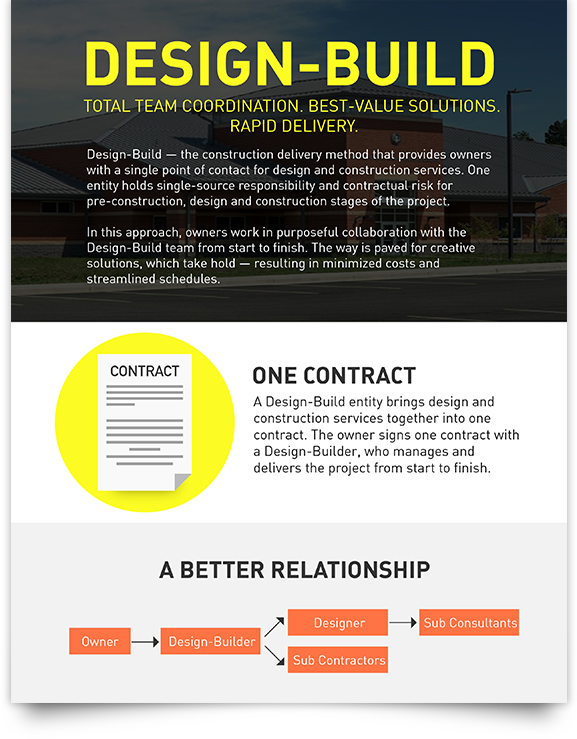 In our Design-Build infographic, we explore how Design-Build delivers these benefits and more.